We officially have a God daughter! Her name is Maria del Carmen Ribera Rivera, she´s 6 and just got baptized tonight. She and her 2 other sisters came to the orphanage because their mother is in a long-term tuberculosis treatment facility and she couldn´t take care of them. I´m unsure if there are any other family members active in their lives. It is currently unknown if the sisters will ever be able to go back to living with their mother, but with her living, they can´t be adopted so for the time being they will be at the orphanage. 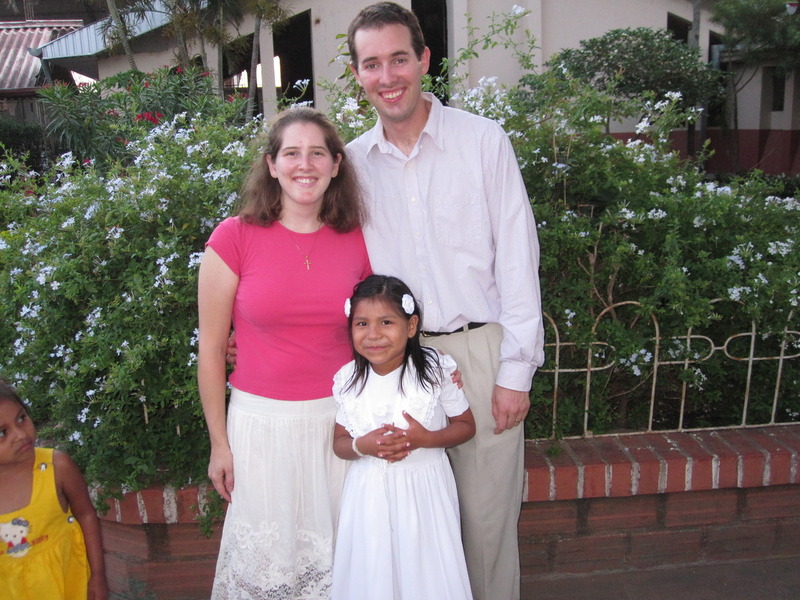 We plan to keep in touch with Maria even after we leave Bolivia if at all possible which will be easier if she stays at the orphanage but I hope for their sake that their mother can stay a part of their lives. About 10 other children from the orphanage were also baptized tonight, ages 1-14. We had a special dinner afterwards which was REALLY tasty. It was a fun time. Congragulations. She’s a cutie. Hope she obeys you in the classroom! !